STEM activities do not have to be expensive, complex, or time consuming. 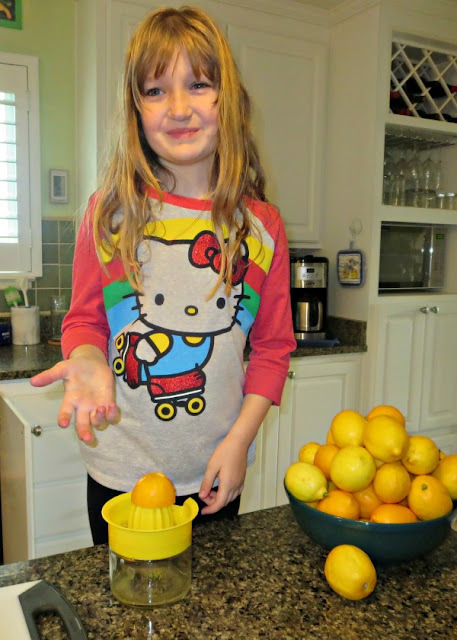 9 year old Smarty had a lot of fun trying to build the tallest possible lemon tower. Our lemon tree was very bountiful this year. We eventually relieved it of its load and brought lemons inside. 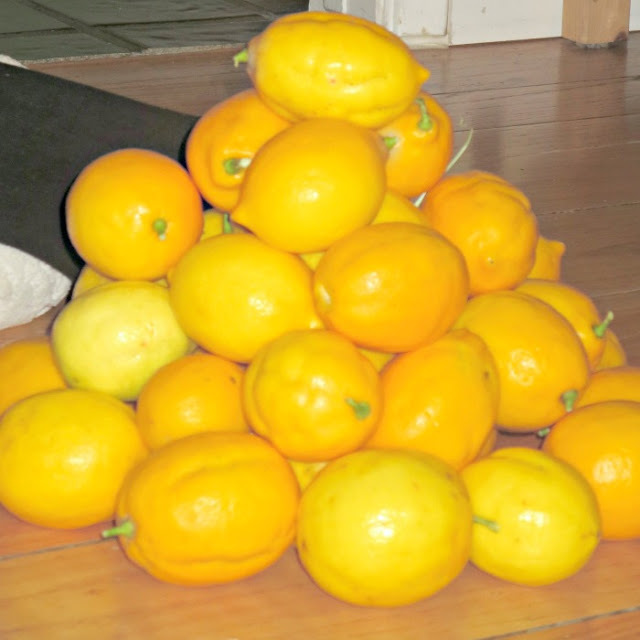 Before we decided what to do with this mountain of lemons, I challenged Smarty to build the highest lemon tower she could possibly build. 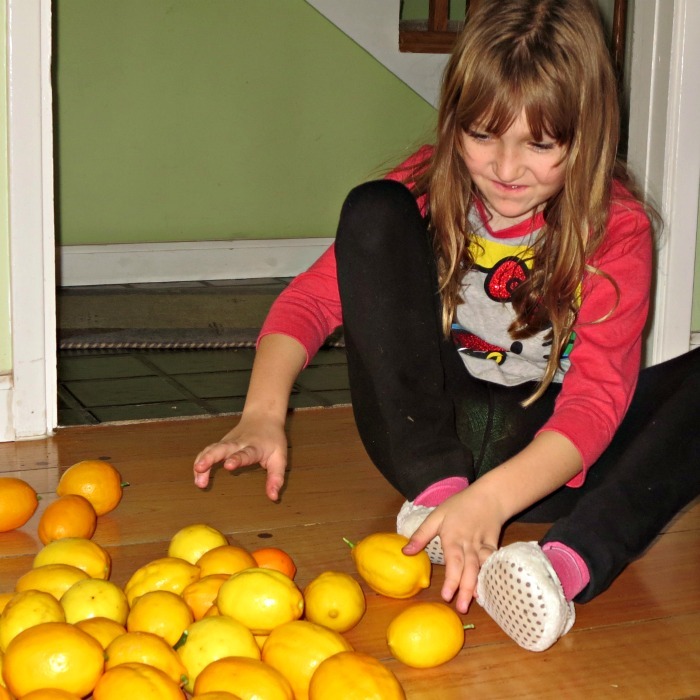 This activity seems simple, but, as Smarty quickly found out, building a tower of lemons is not at all simple. Her tower kept collapsing - presenting a great opportunity to fail quickly and learn from failures. 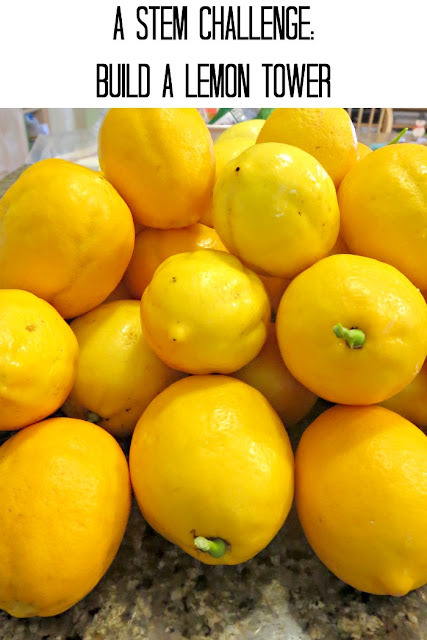 Smarty eventually figured out that it would be better to put bigger lemons on the very bottom and not to pile them up every which way. 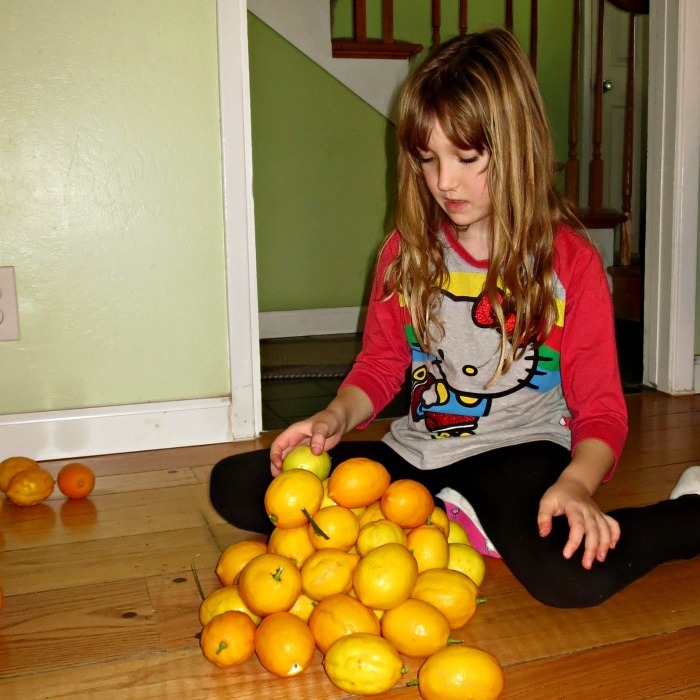 What kind of STEM fun have you been up to lately? 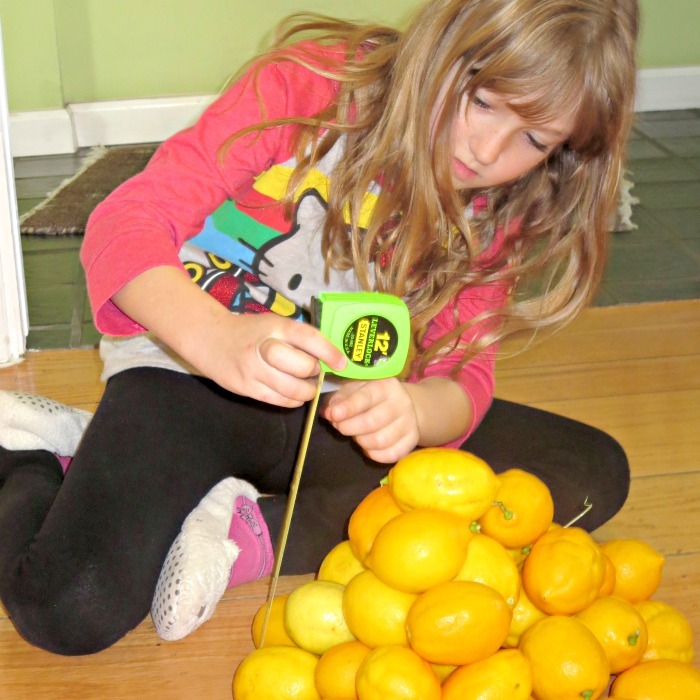 More Engineering Challenges for Kids? I loved that shot of the tower falling apart, that is priceless! We haven't really done much with building towers, aside from with Legos. It'd be fun to see what my kids came up with. Should Every Child Be on a Team?